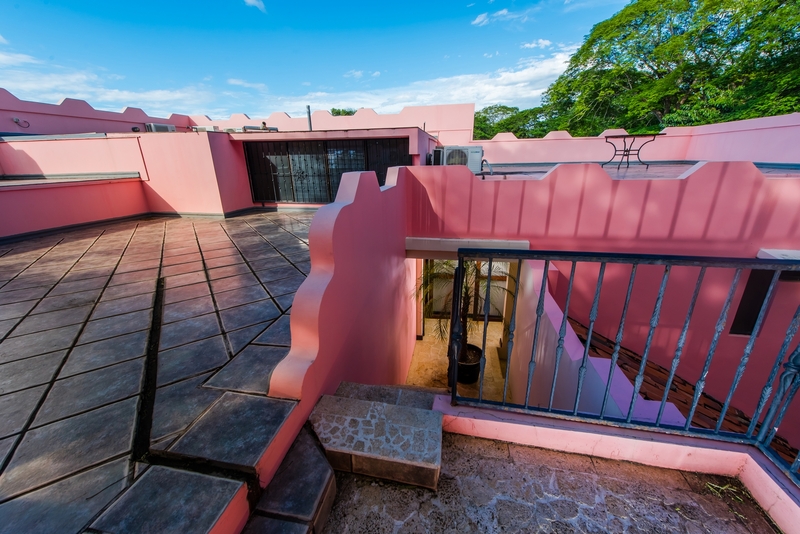 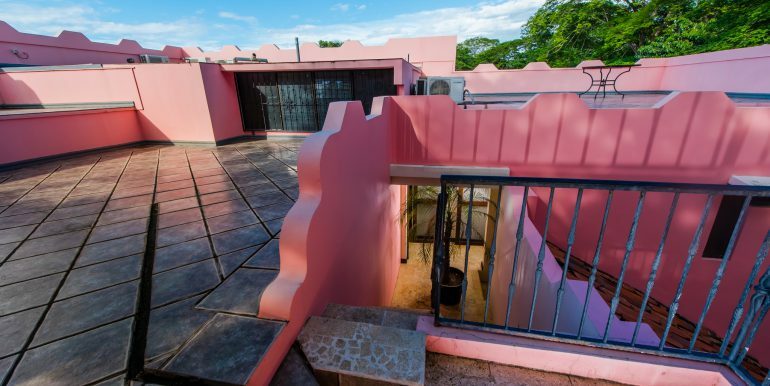 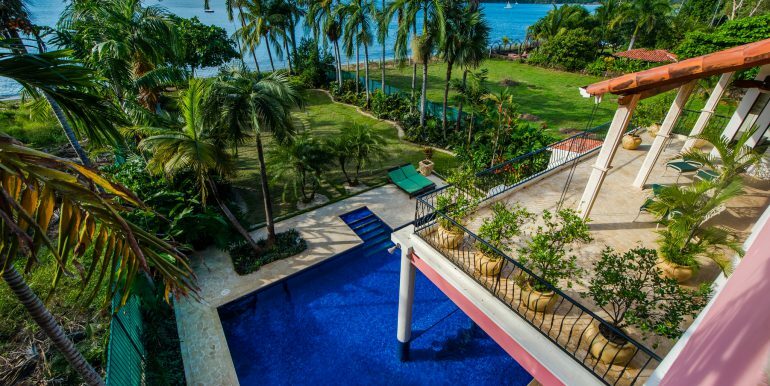 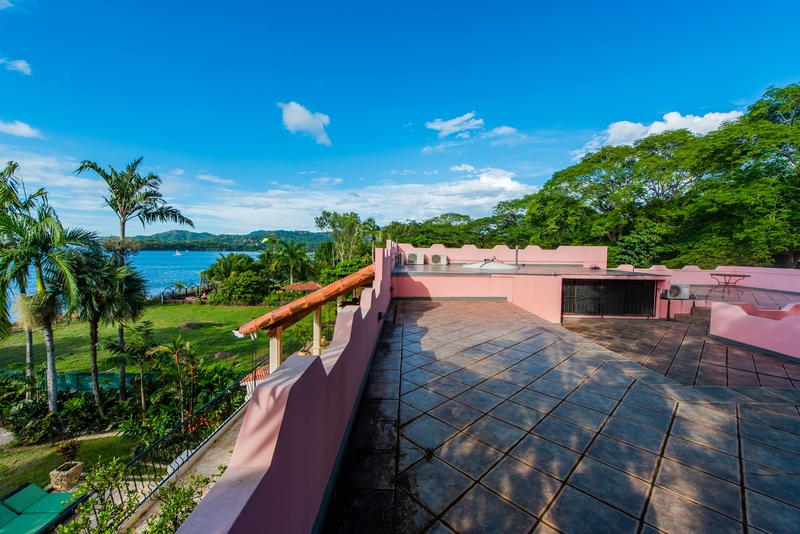 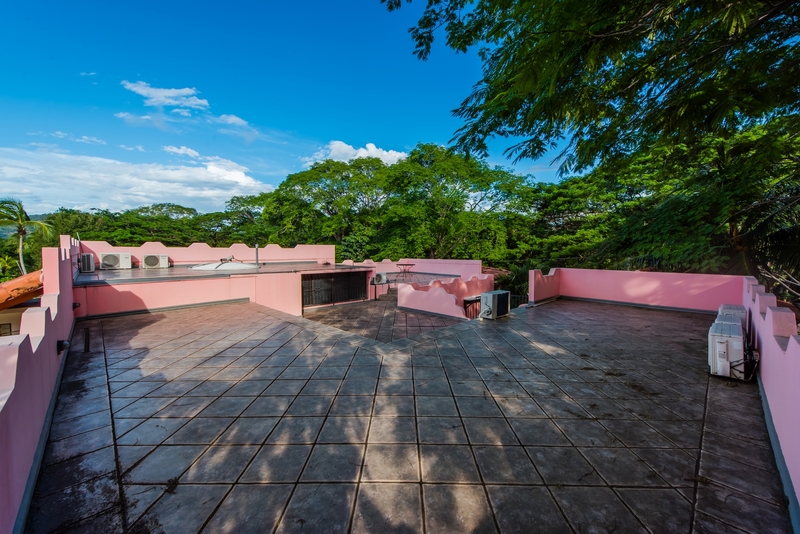 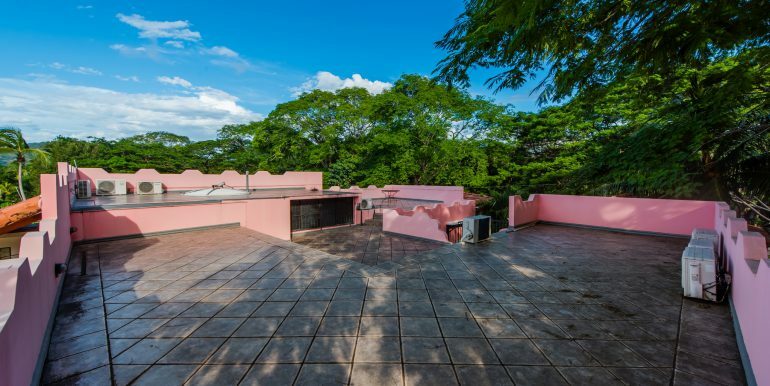 On the beautiful tranquil waters of Playa Potrero, and in view of the soon-coming Flamingo Marina and Promenade, Casa Copacabana, consists of 6,200 sq ft under air, plus another nearly 4,000 sq ft in outdoor terraces. 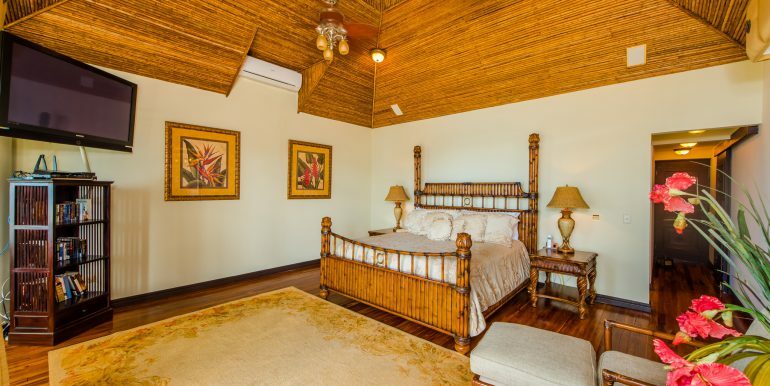 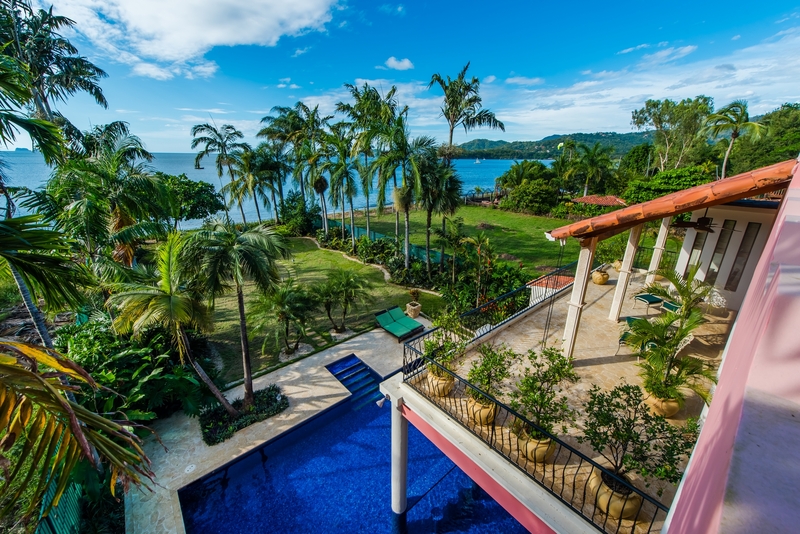 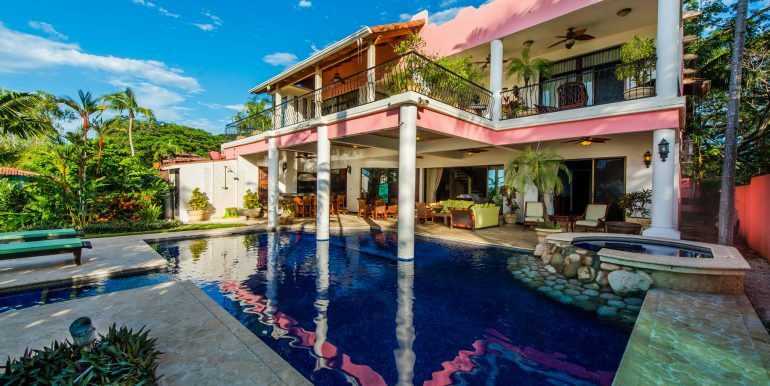 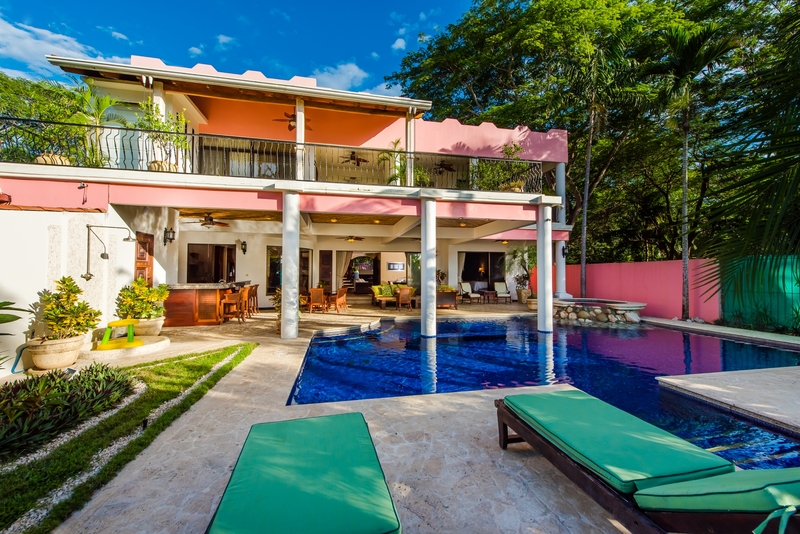 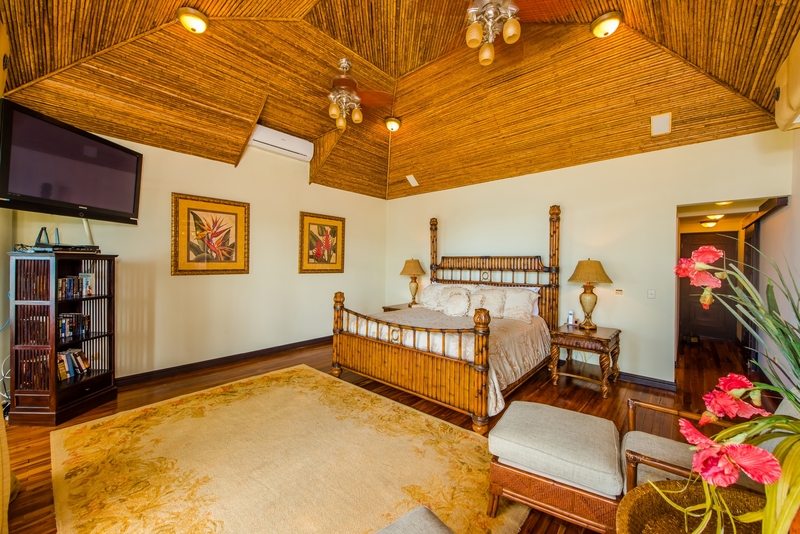 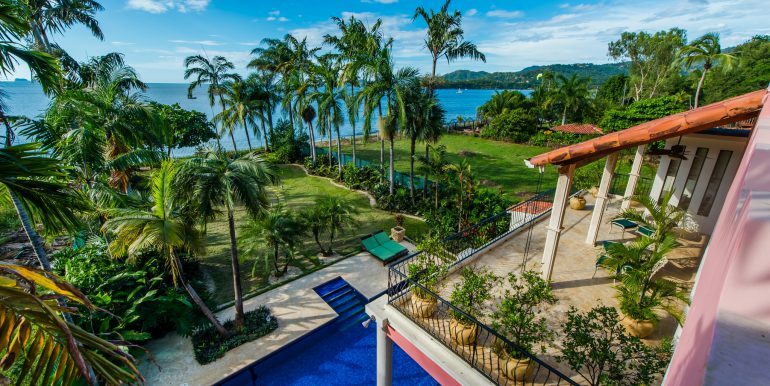 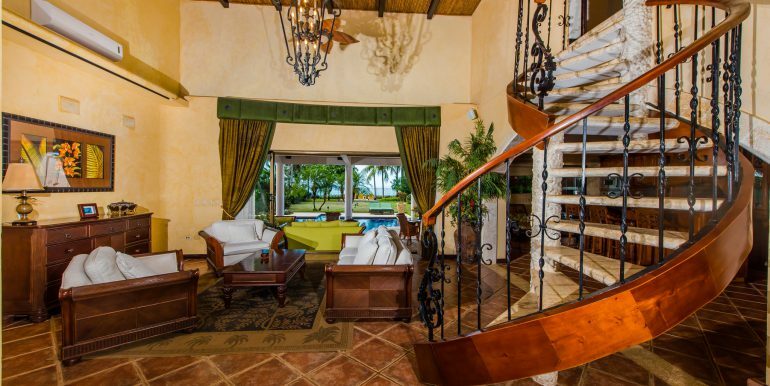 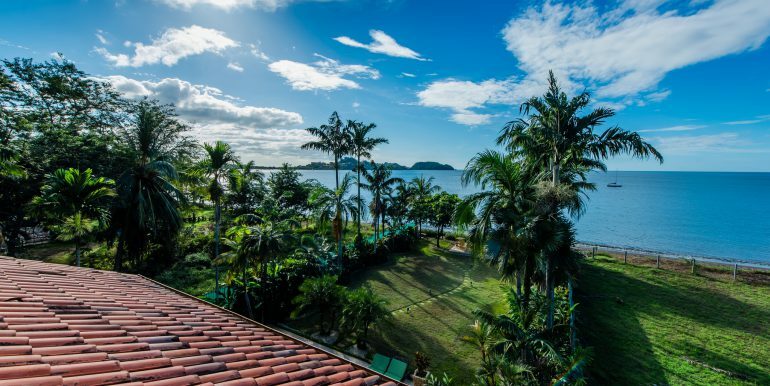 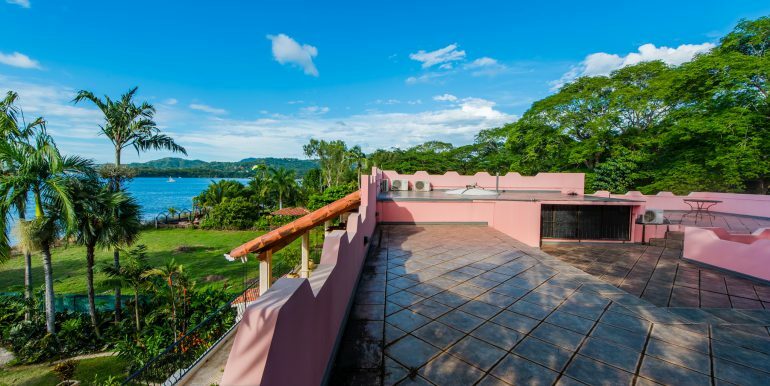 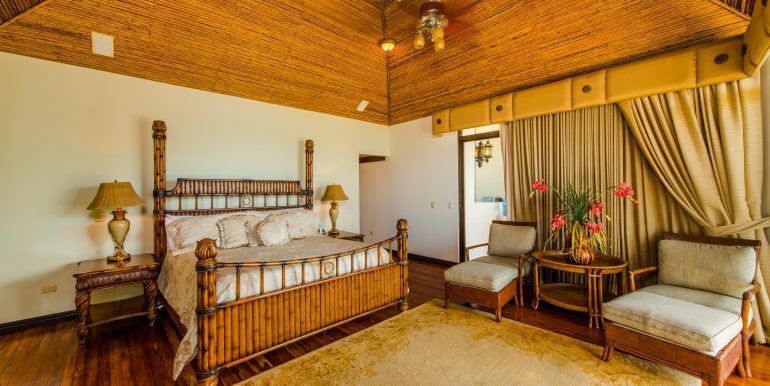 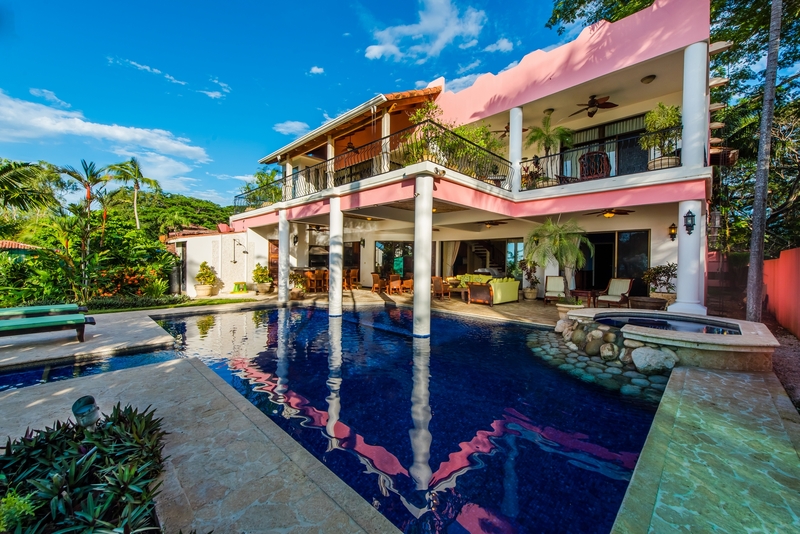 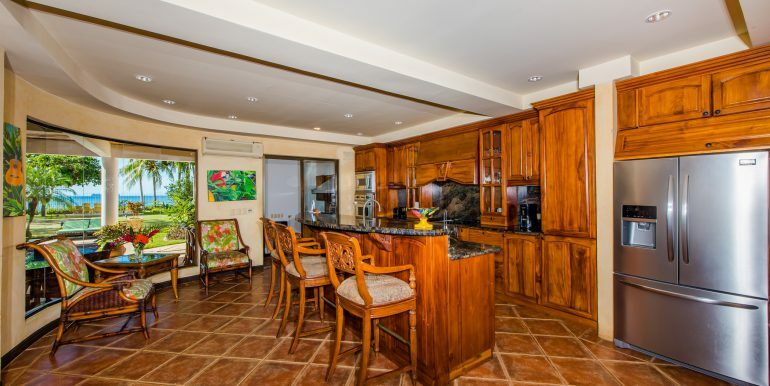 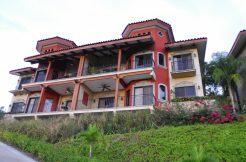 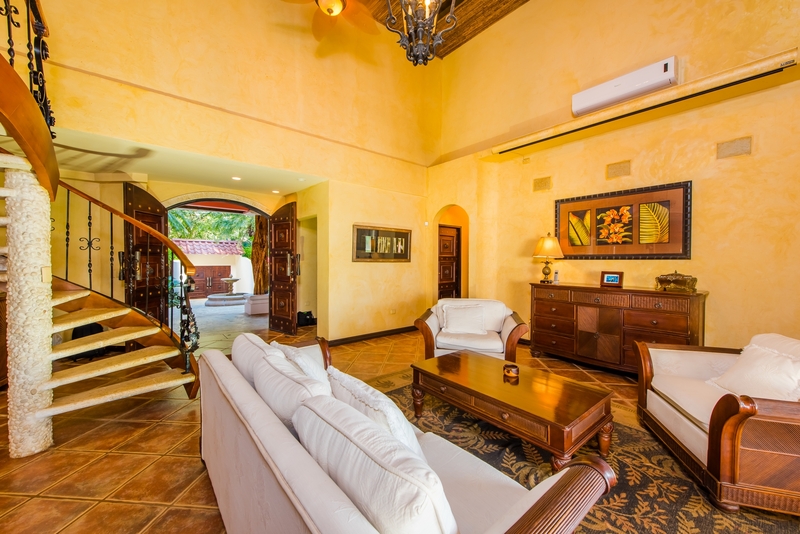 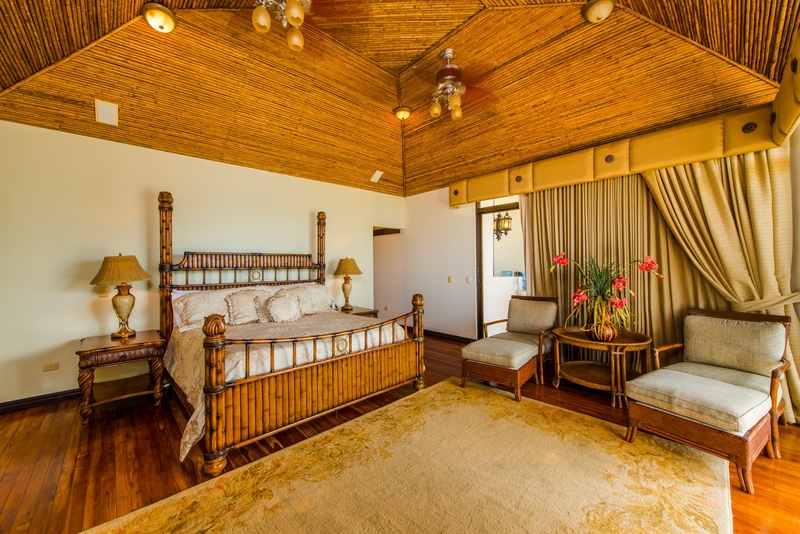 Featured in Estilos y Casas Magazine, this truly luxurious estate, is perfect for a permanent home in Costa Rica, or a shared rental investment. 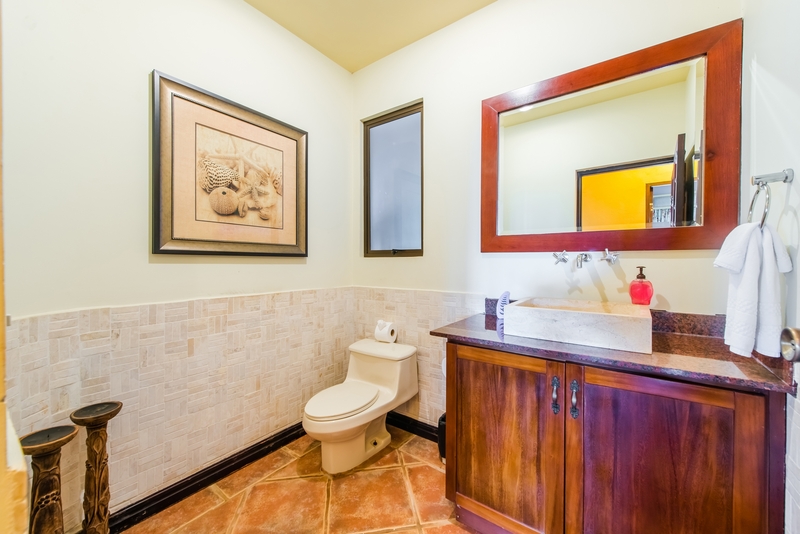 No expense has been spared to provide all the details needed for a truly magnificent experience in living here. 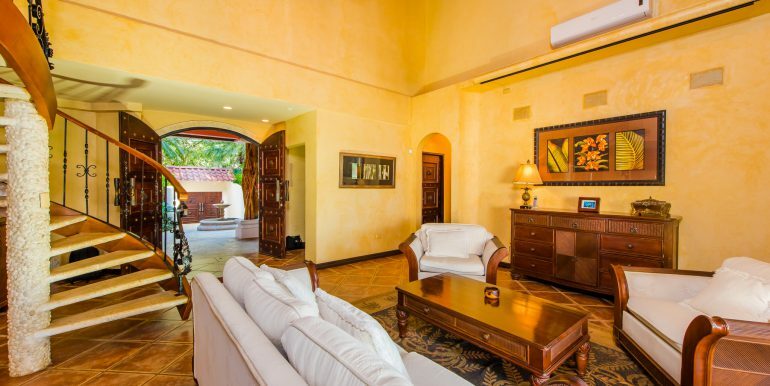 A street-side entry door opens to a welcoming private courtyard with entrances to the main home. 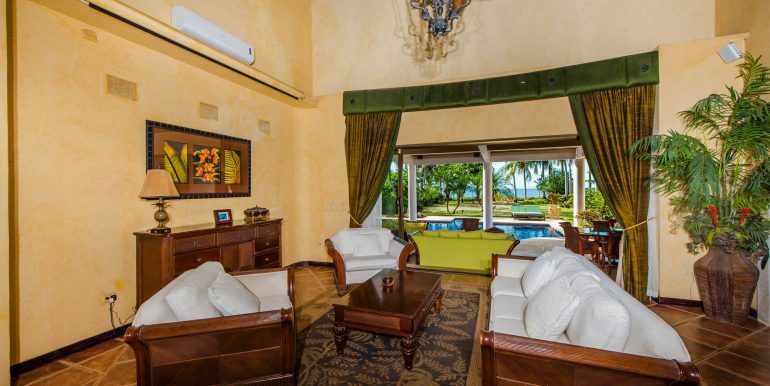 Inside the front door is an elegantly furnished formal living room with a view to the sea, and features a centrally controlled surround-sound stereo system throughout the entertainment area of the home. 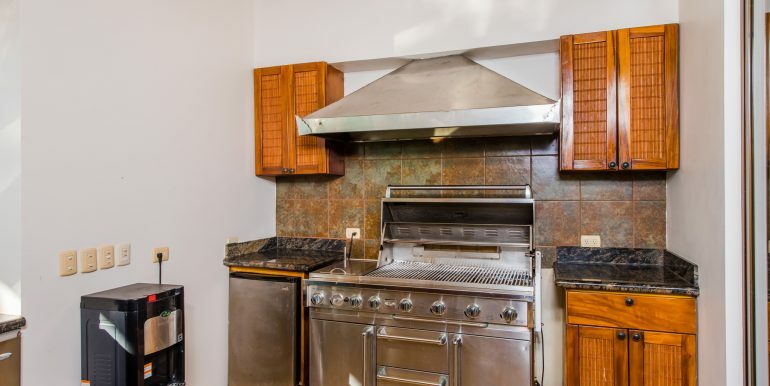 To the right of the living room is the gourmet kitchen boasting Viking stainless steel appliances, a double oven, and a granite bar with seats for six. 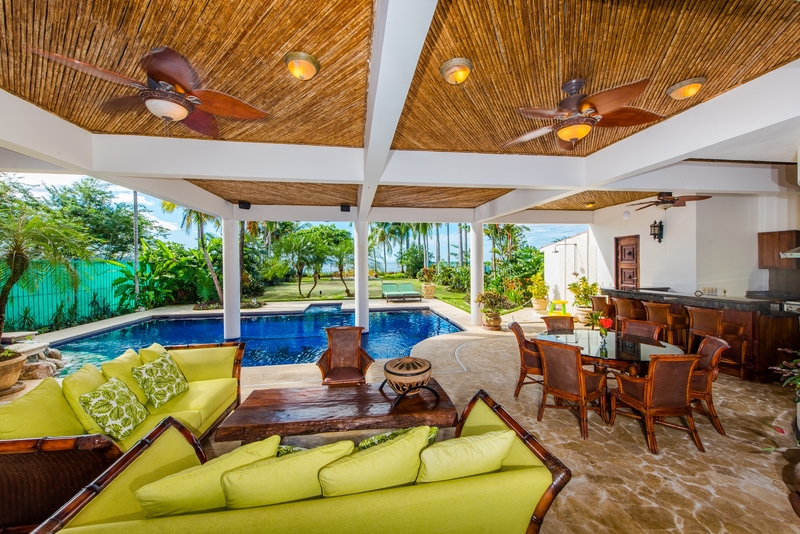 Down a few steps past the formal living room and kitchen is the under-roof living area with coverage over part of the designer swimming pool for that shady swim! 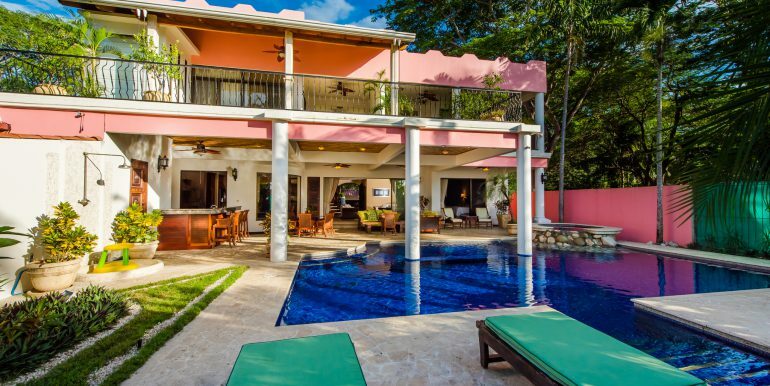 The swim-up bar has seats for six. 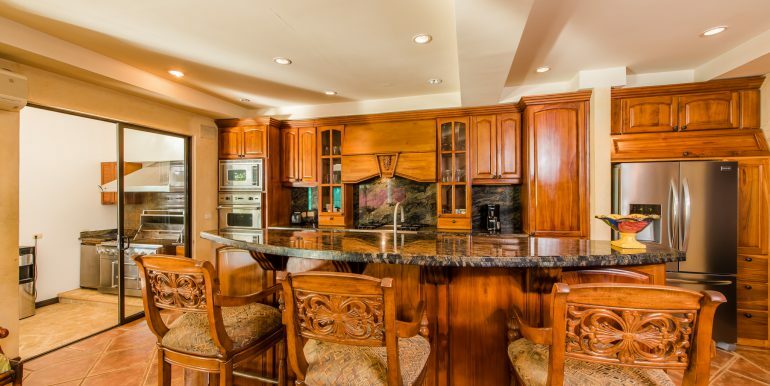 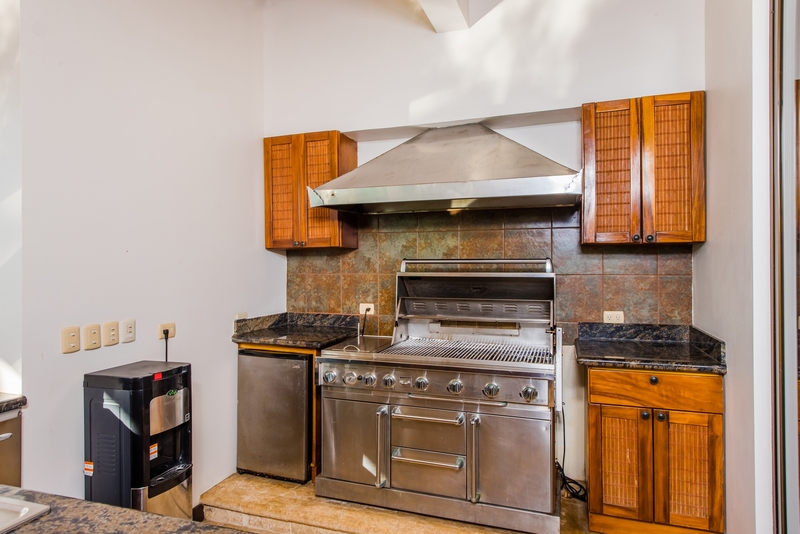 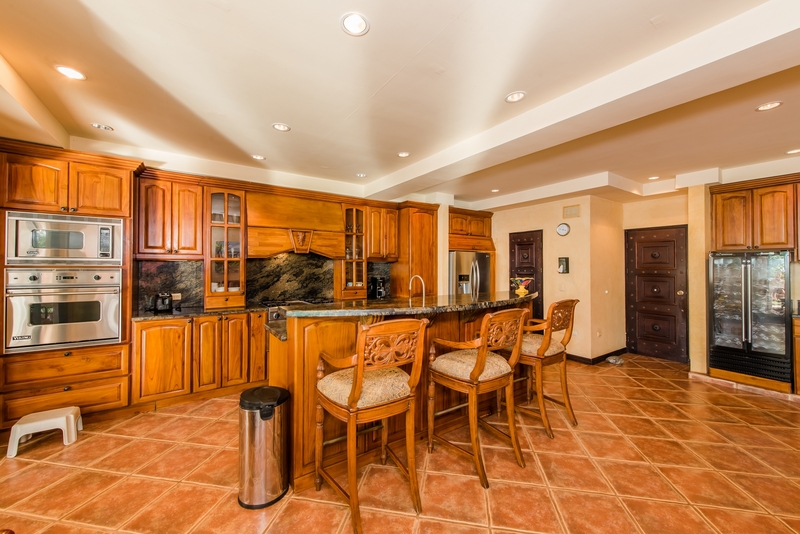 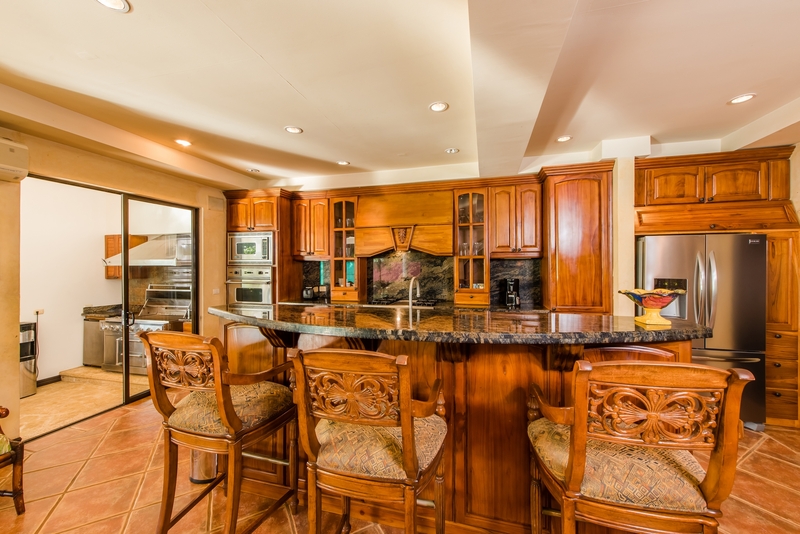 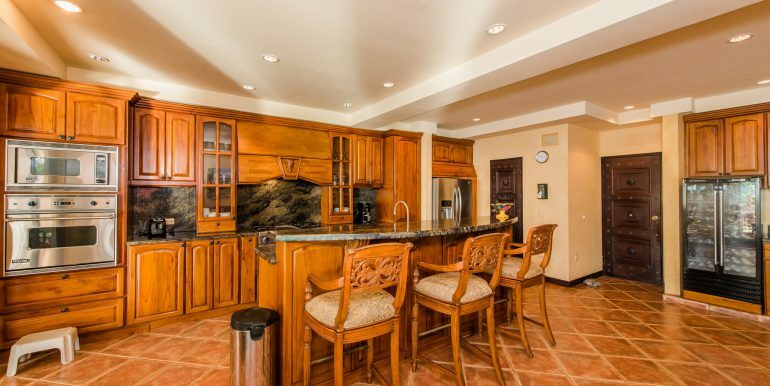 For that perfect entertainment feature, there is a granite patio bar off the kitchen area complete with ice machine, refrigerator, and glassware cabinets. 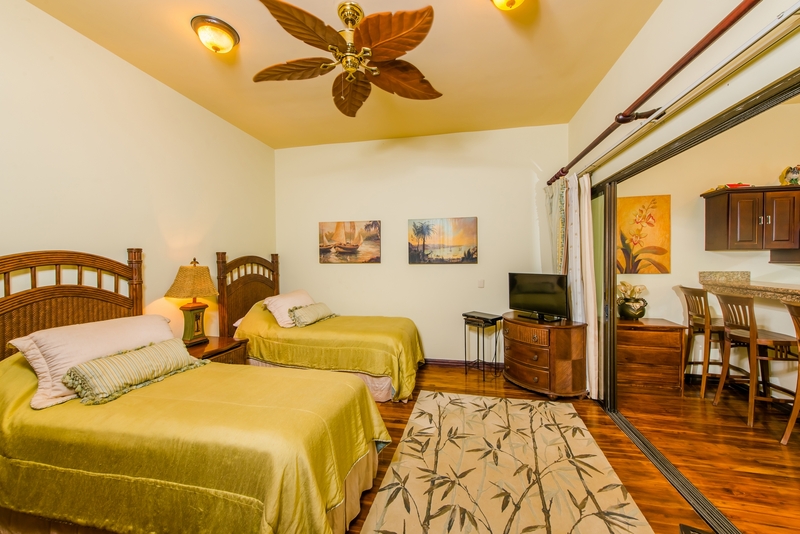 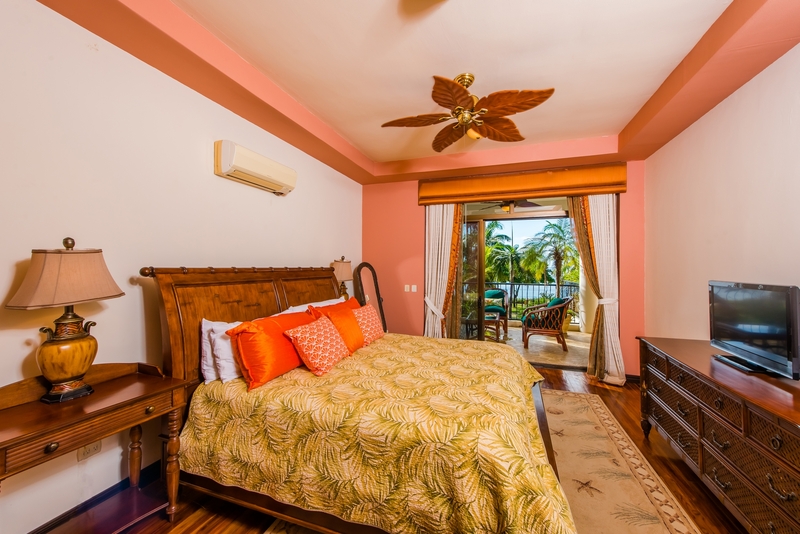 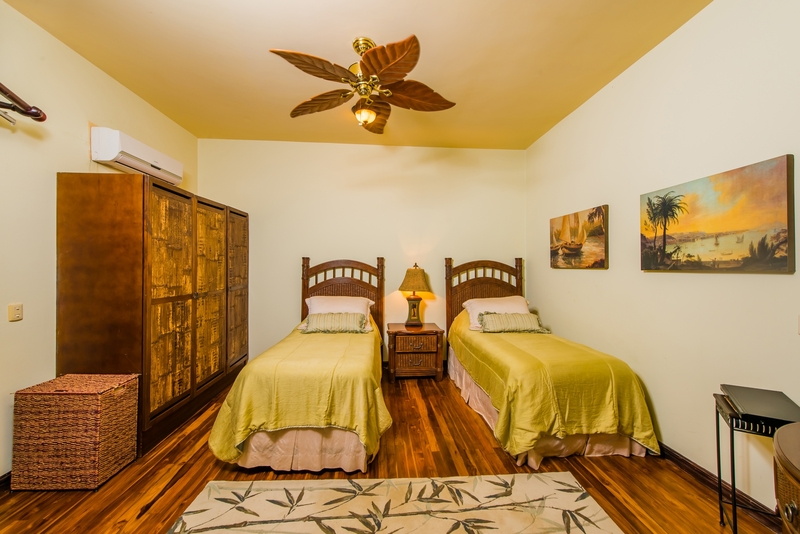 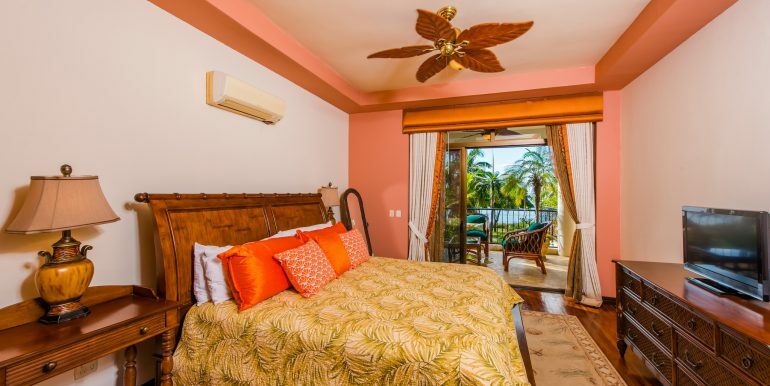 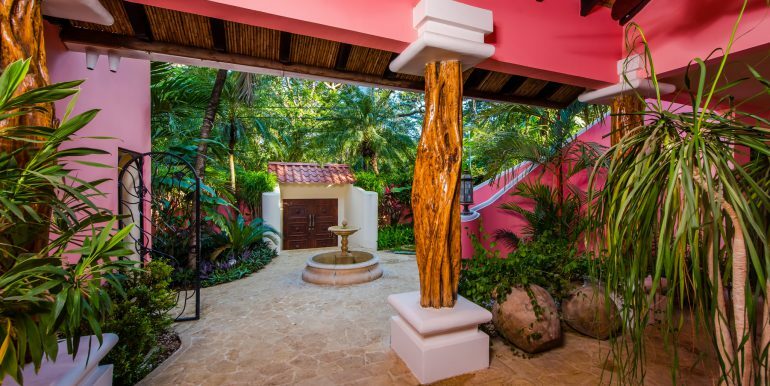 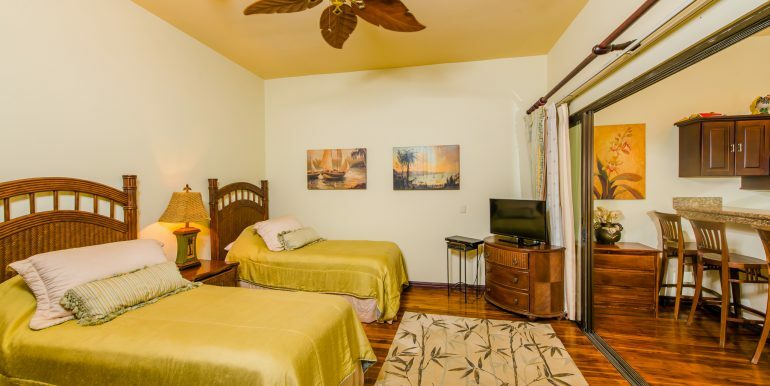 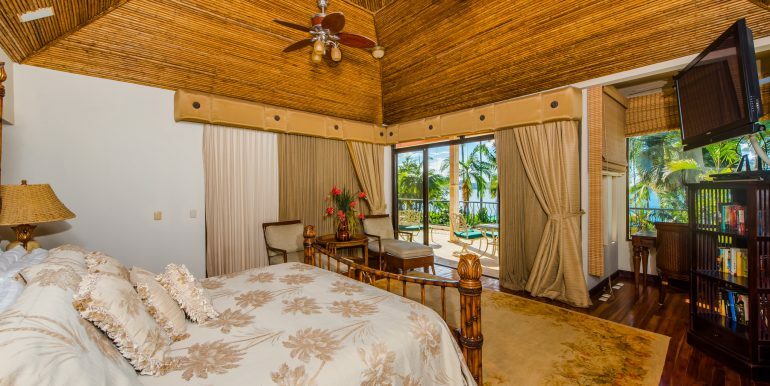 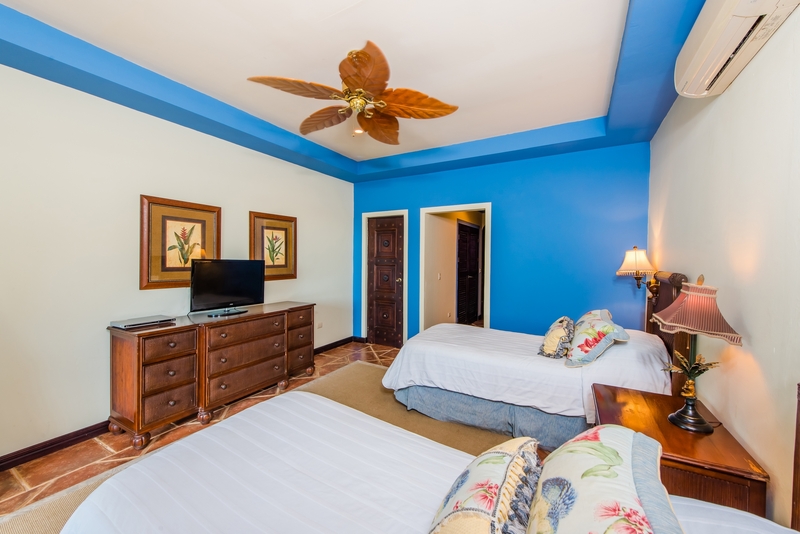 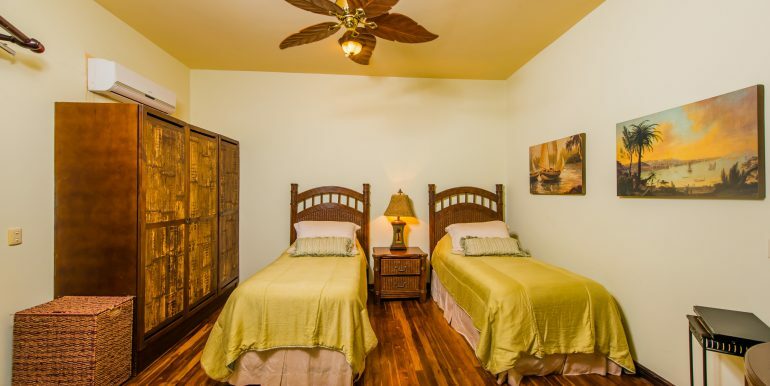 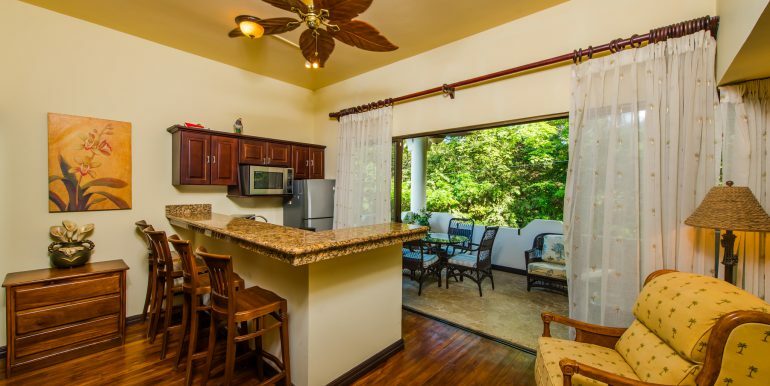 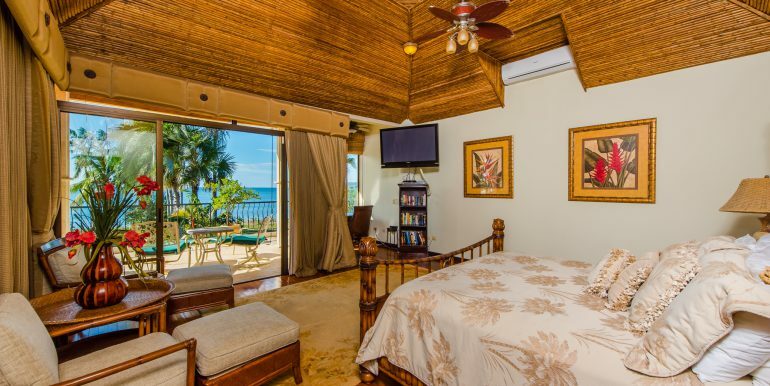 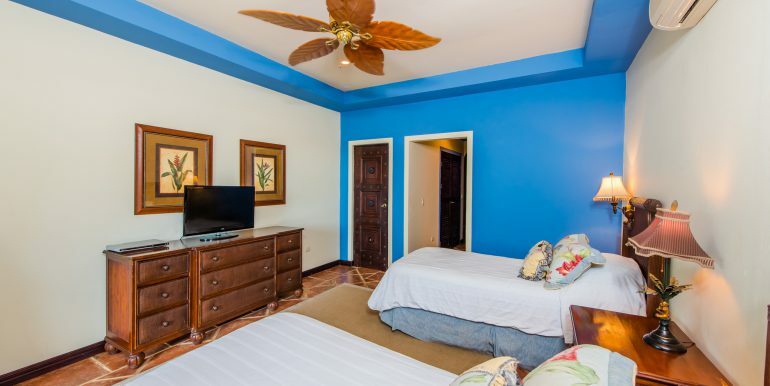 There are four amazing bedroom suites, three of which have their own entrances, and two suites with their own spacious oceanfront balconies and granite bars! 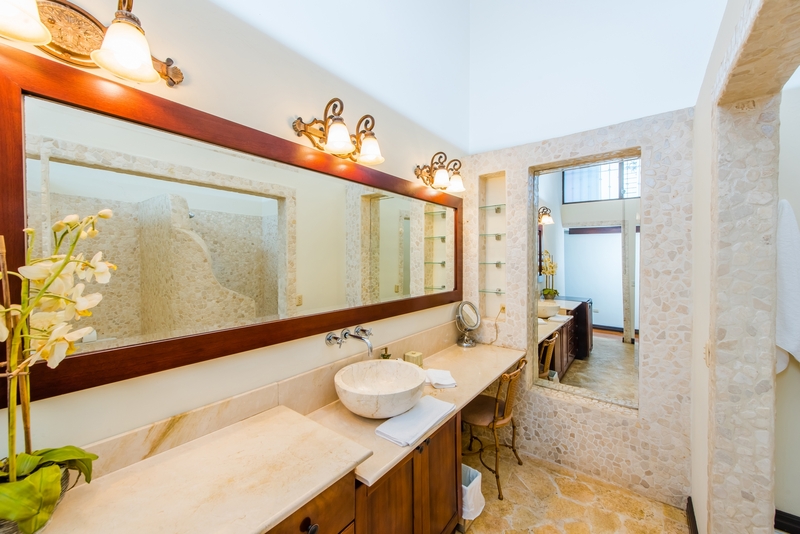 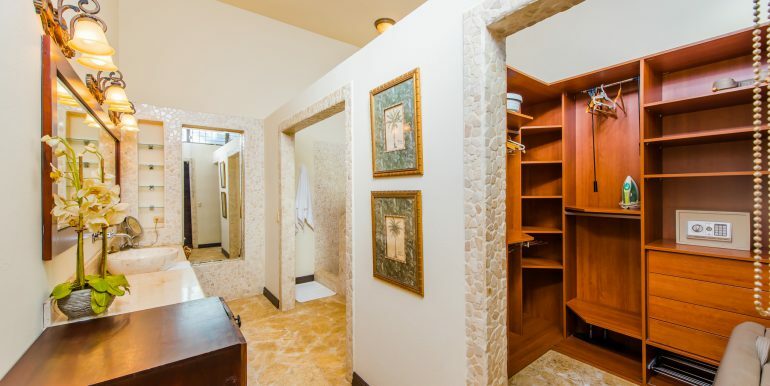 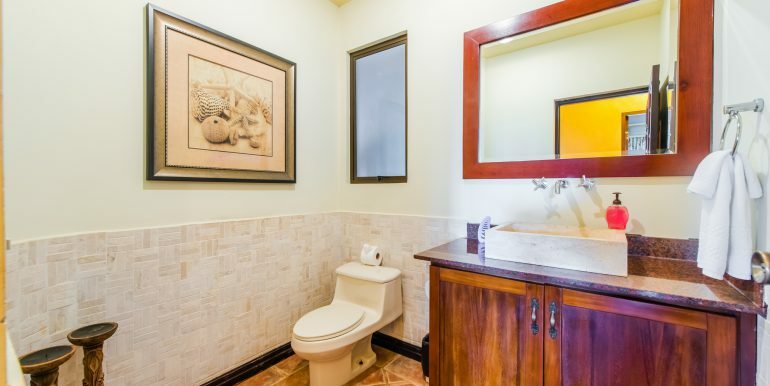 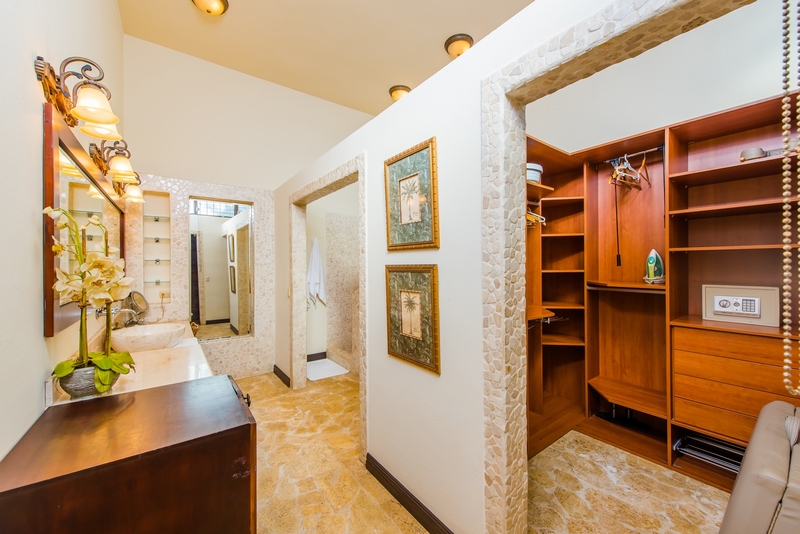 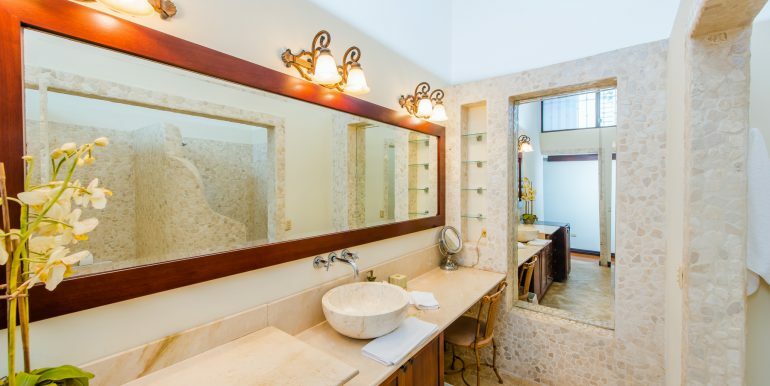 The master suite has a huge bathroom and dressing area, all of Coralina stone. 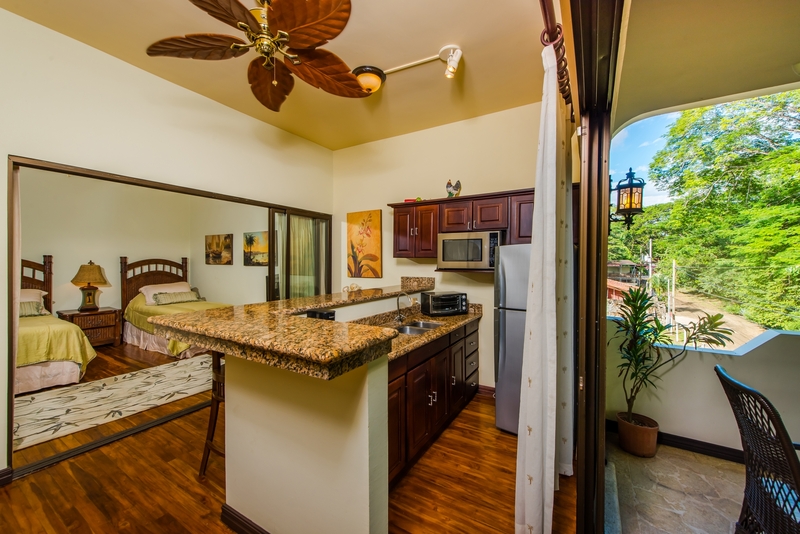 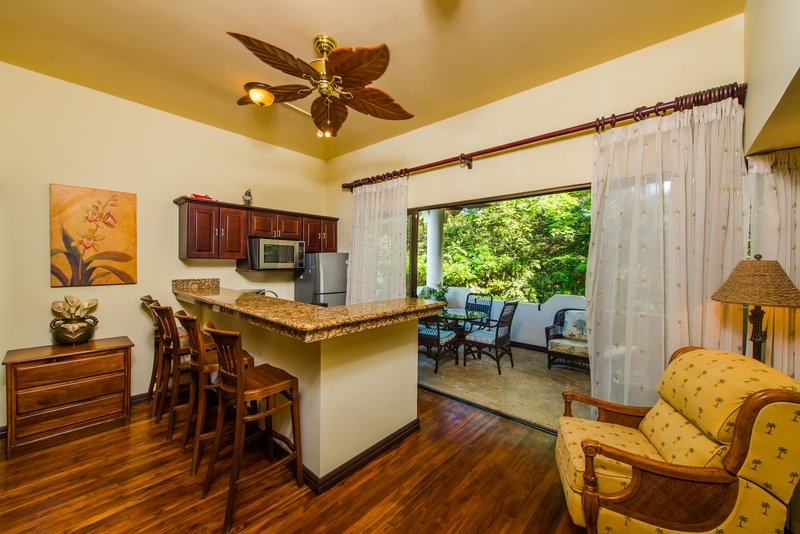 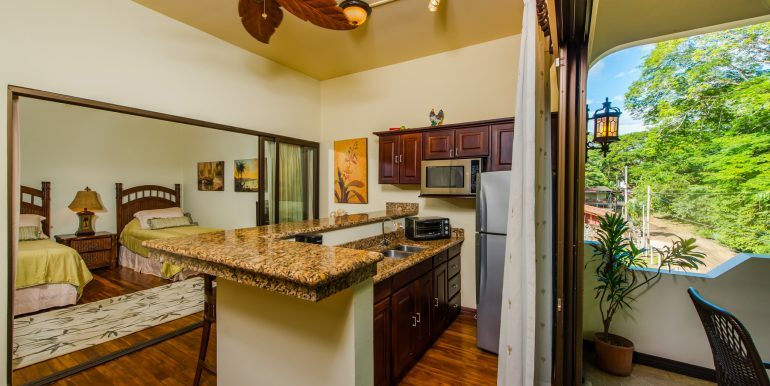 One suite has it’s own mini-kitchen, and a lovely green area balcony and private entrance off the courtyard. 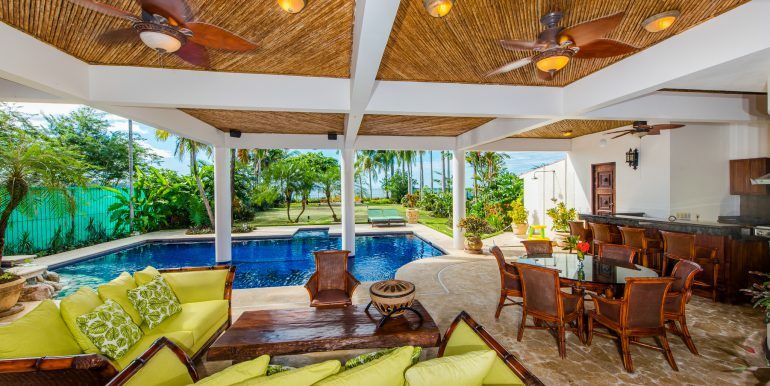 The expansive, grassy front yard takes you toward the beach to a new oceanfront patio for those sunset cocktail hours. 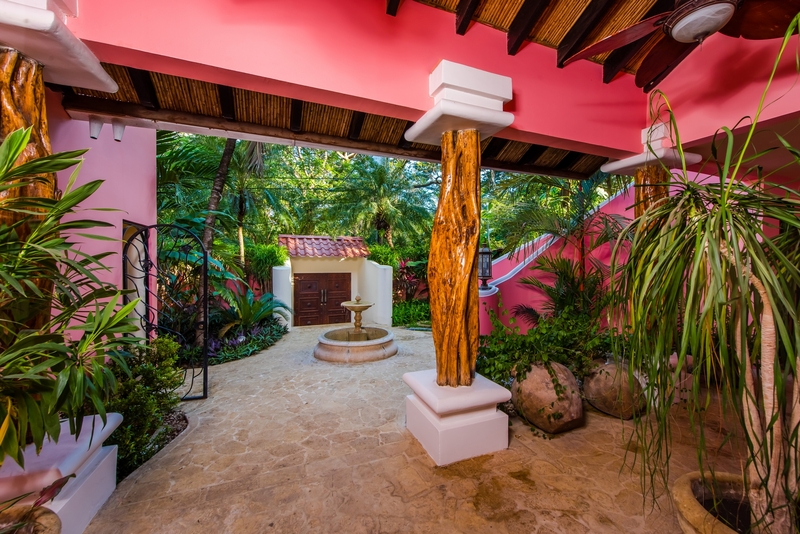 A private gate opens to the sand for those casual walks, a dip in the sea, or watching the sailboats pass by. 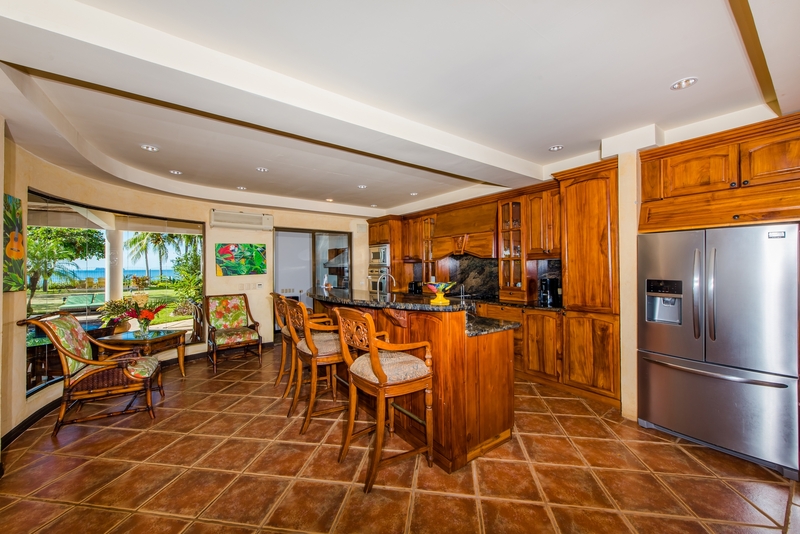 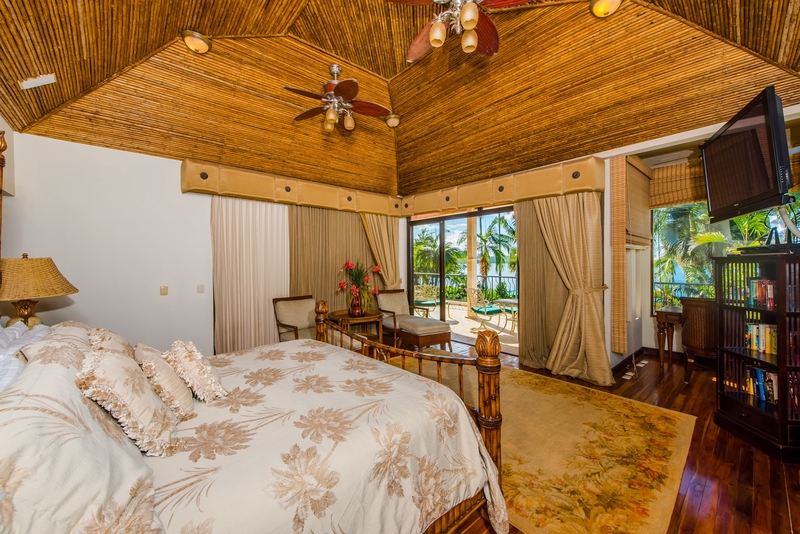 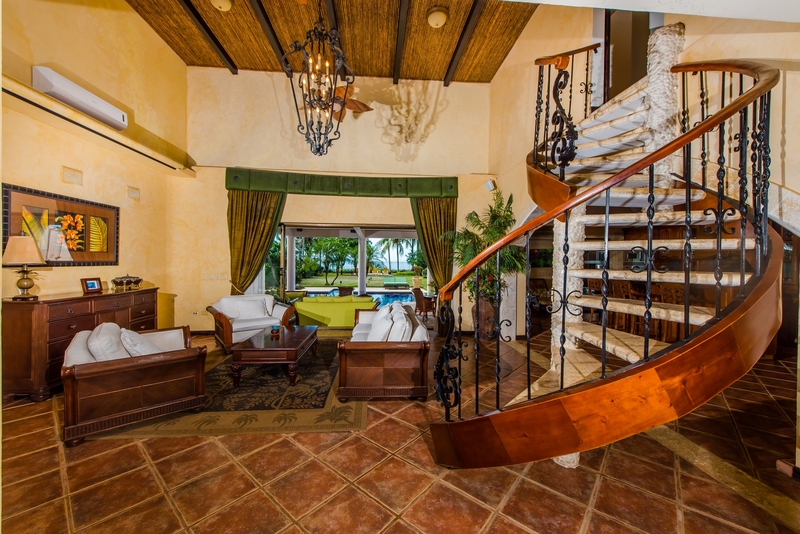 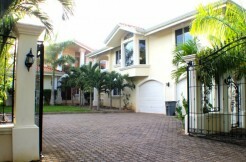 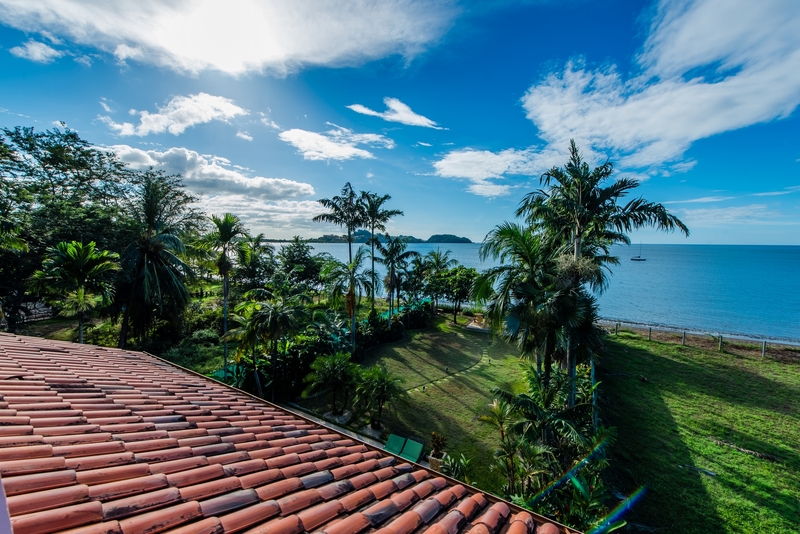 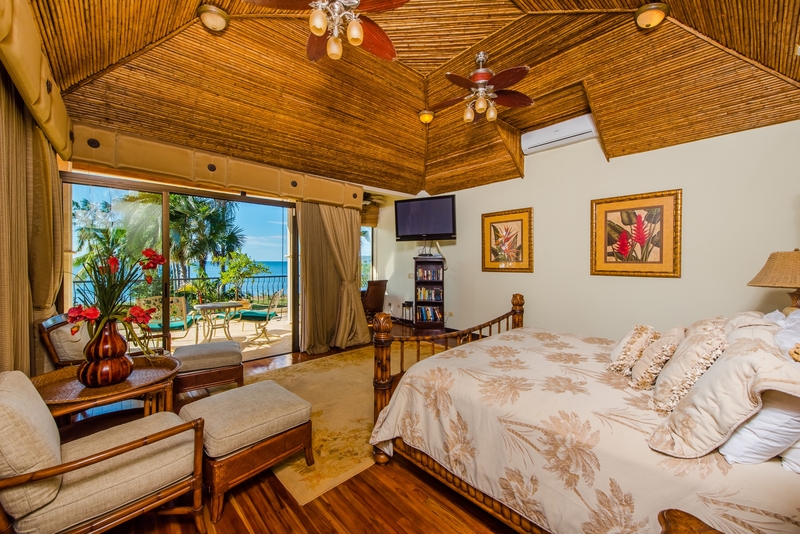 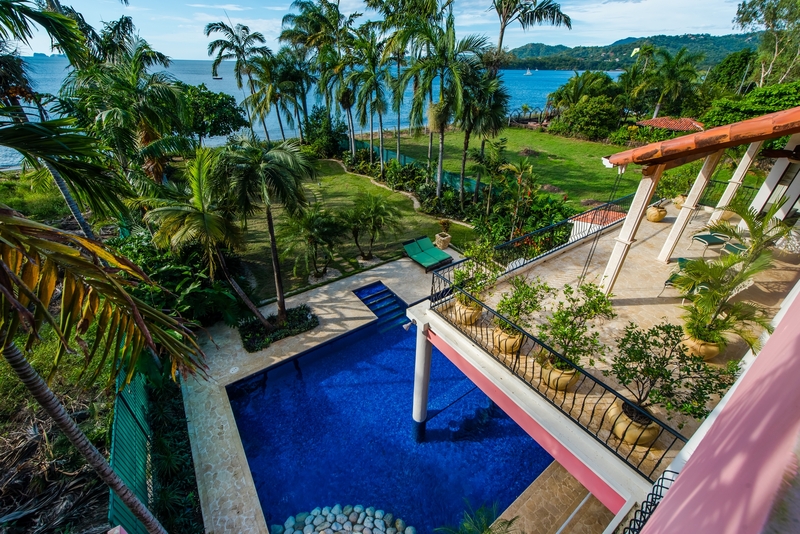 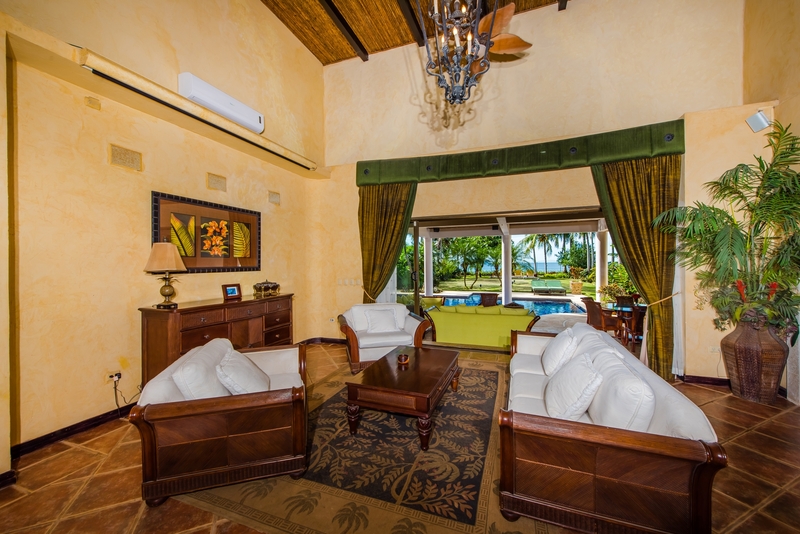 Casa Copacabana has everything you would want in an oceanfront home!